The David by Michelangelo is the statue most beloved by the Florentine people because it symbolizes the victory of intelligence and courage over pure brute strength. 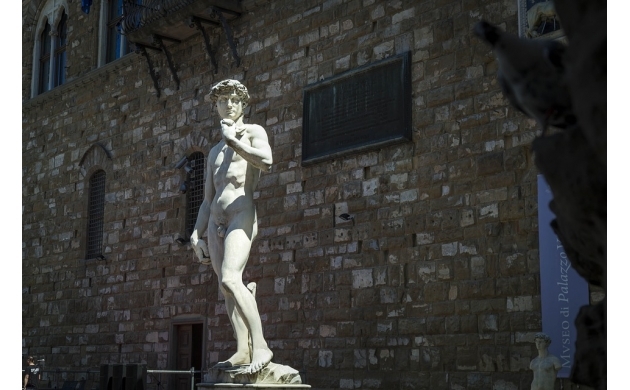 Among the many works of art present in the Piazza della Signoria, there in front of the Palazzo Vecchio, the David stands out for its impressive beauty. 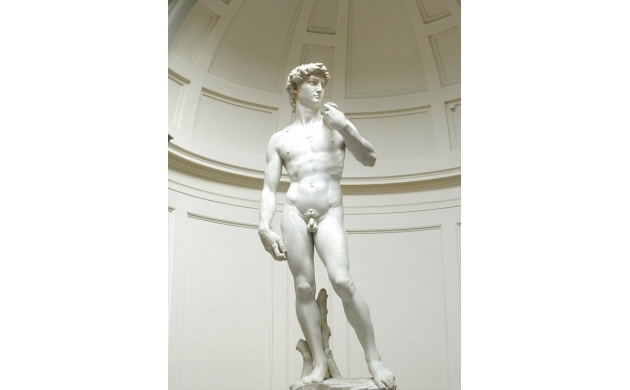 Widely considered to be the highest expression of Renaissance sculpture, the David is also seen by many artists and art historians as the most beautiful object created by human hands. More than five meters of perfection carved from a single solid block of white Carrara marble, it is the ideal artistic expression of masculine beauty with its imposing posture that exudes strength. Truly, the statue of David by Michelangelo is a masterpiece. Within Florence one can find at least 5 statues of David: 3 originals and 2 copies. 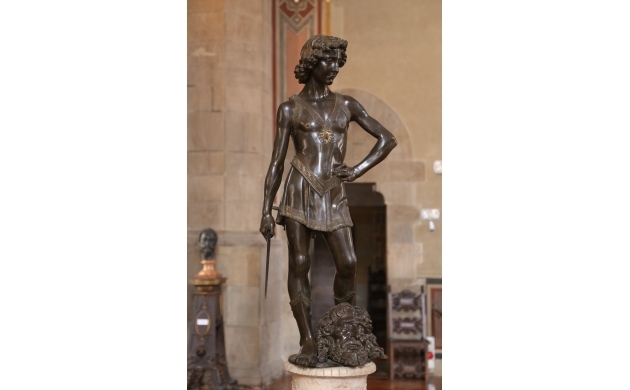 The oldest statue is the bronze David by Donatello, completed around 1440; next is the David of Verrocchio (the master of Leonardo da Vinci) from 1475; and finally the youngest David by Michelangelo from 1500. 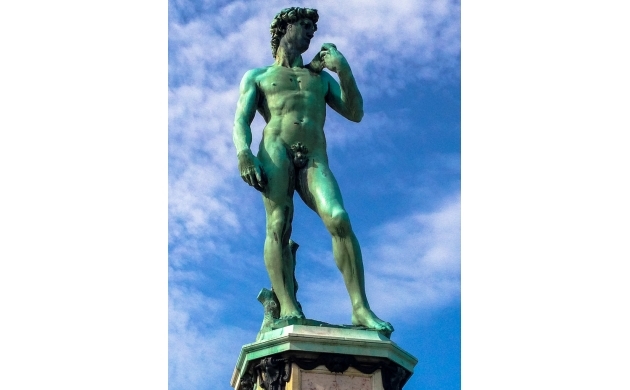 The original David is housed in the Accademia Museum on via Ricasoli, while two copies are displayed elsewhere - one in front of the Palazzo Vecchio, and the other in Piazzale Michelangelo. However, standing in front of the original David is an emotional experience incomparably greater than seeing the two copies. Unlike the previous interpretations of the mythic biblical figure of David by Dante and Verocchio, where David is presented as a weak youth with his strength deriving only from God, Michelangelo's David instead becomes a strong and self-sufficient young man, preparing to go into battle fully concentrated on the force of reason. 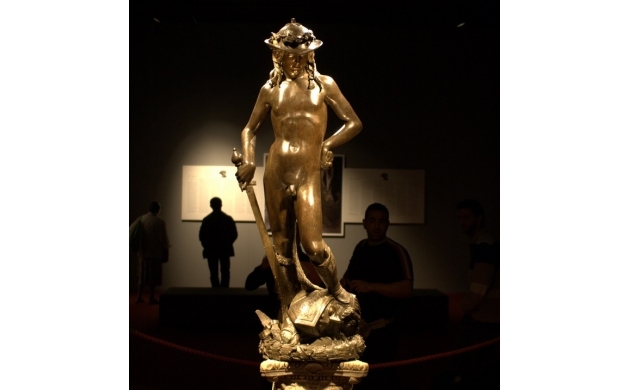 This is the first part of three of a study dedicated to Michelangelo's David. You can read the second here.